While most people think of “work” and “play” as incompatible, Dana Cox has found a clever way to combine the two. Cox is a licensed occupational therapist and the owner of DreamCatchers Therapy Services in Murfreesboro. Established in 2004, DreamCatchers provides a safe and fun environment for disabled and special needs children to cultivate the physical and cognitive skills they need for proper development. Traditional occupational therapy (OT) focuses on improving a patient’s ability to perform ADL —or “activities of daily living”—such as fi ne motor skills (e.g. writing and use of the hands), self-help skills (bathing, dressing and feeding), problem solving and socialization. OT can also involve speech therapy, aquatic therapy or therapeutic listening. Cox’s work is defi ned by a strong sense of playfulness. Rather than treat her clients within the confines of a stuffy office building, she has chosen a far more relaxed and naturalistic setting: a barn. “I strongly felt that since Jesus was born in a barn, it would be a perfect place to work with our clients,” she said. Of course, no barn would be complete without animals. DreamCatchers houses many animal friends but utilizes horses for a unique purpose. DreamCatchers specializes in hippotherapy, a treatment that uses the movement of the horse as a tool to address physical impairments, muscular dysfunction and cognitive delays. In addition to horses, DreamCatchers incorporates other elements of play. On site, children can frolic through hay mazes, explore obstacle courses, climb textured walls, and dive into giant ball pits—all while cultivating the skills they will need for future development and success. Interestingly, special needs children aren’t the only ones who benefit from occupational therapy. Cox also occasionally works with gifted children. Cox’s favorite part of her job is seeing the children smile whenever they learn a new skill. And of course, working with majestic horses on a lush, green farm is also a plus! Cox also feels blessed to have found what she believes is her professional calling. 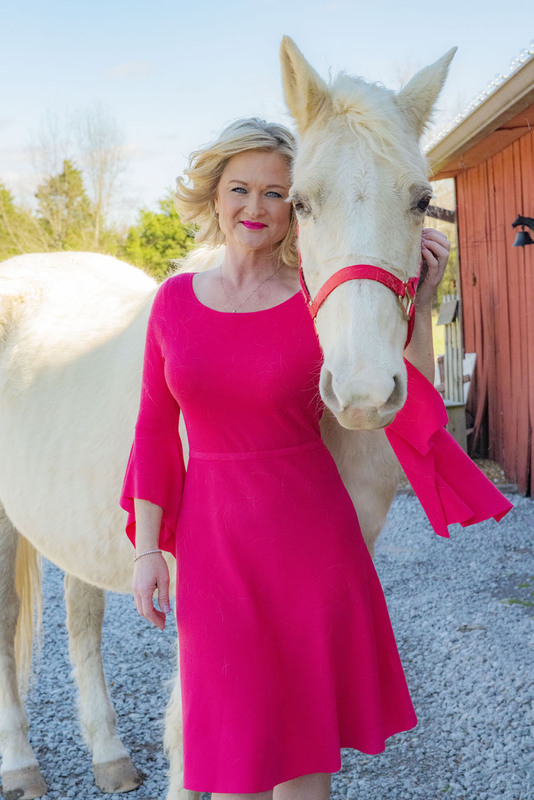 “Through faith and passion felt from my childhood, I have been driven straight by ‘God’s radar’ towards working with children and animals,” she said. “It’s been an emotional fuel that I couldn’t deny.